There may be several reasons why you prefer to wear contact lenses over glasses: appearance, work, sports, or simply the convenience of not having to worry about misplacing your glasses. 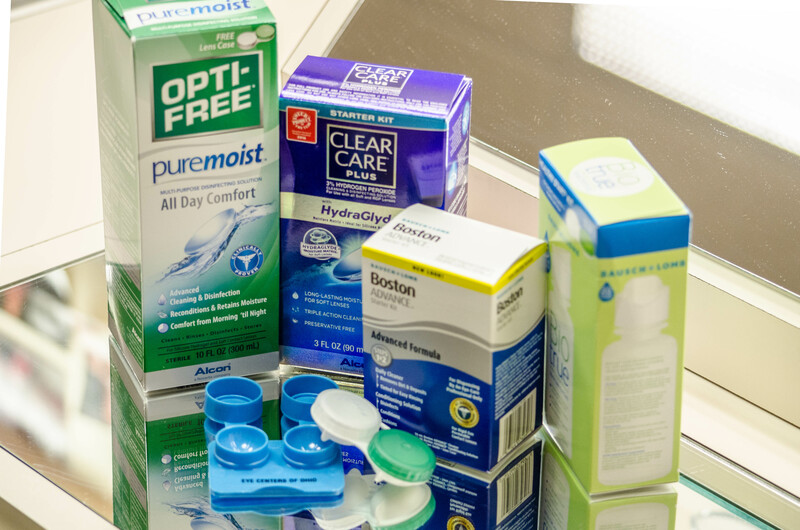 At Eye Centers of Ohio, we offer a wide range of contact lens options to meet your vision and lifestyle needs. Our licensed contact lens staff, with an average of 30 years’ experience, can help you find the best lens options for comfort and clarity. In providing the newest technologies in corneal measurements and contact lens design, we specialize in difficult contact lens fittings including keratoconus, high astigmatism, and post-surgical needs. If you want the comfort and convenience of a new clean lens every day, then disposable daily contact lenses may be right for you. These lenses are single-use lenses that are removed and discarded at the end of each day providing a safe, convenient, and comfortable way to wear contacts. Gas permeable contact lenses are rigid lenses made of durable plastic that offers sharp vision and corrects most vision problems. These lenses provide a high oxygen permeability which allows your eyes to breathe and reduces the risk of infection. More durable than soft contact lenses, they can be easier to handle and care for but require a longer adaptation period. Consistent wear is also important to maintain this level of adaptation. Many patients 40 and older prefer contact lenses over glasses for their active lifestyles. Today, a number of multifocal lens options are available to contact lens wearers who want the best of both worlds, no glasses along with good distance and near vision. Available in both soft and GP designs, these lenses correct vision similar to a pair of bifocal glasses. If you have keratoconus, high astigmatism, dry eyes, or other challenging vision conditions, finding a contact lens that fits your eye while providing the same comfort and clarity of soft and gas-permeable lenses may seem next to impossible. Our expert contact lens specialists can fit even the most complex vision problems. Hybrid contact lenses are available that combine the crisp vision of rigid-GP lenses with the comfort and stability of contact lenses. The have high oxygen permeability and an advanced lens design that is specially suited for people with irregular corneas. Whether you are new to contacts or an experienced wearer, our staff will provide you with everything you need to achieve a successful outcome. Call either one of our convenient locations to schedule an appointment.